The dramatic increase of information about China’s early past made possible by archaeological discoveries in the past thirty years has made Early China a reemerging new field of knowledge. The “Tang Center Series in Early China,” sponsored by the Tang Center for Early China at Columbia University, and published by Columbia University Press, presents works that reflect this development. 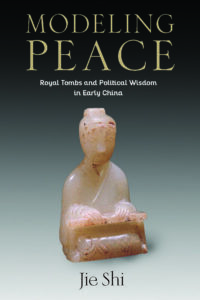 The series includes new studies that make major contributions to our understanding of early Chinese civilization or that which break new theoretical or methodological grounds in Early China studies. The series is especially interested in publishing works that analyze newly discovered paleographic and manuscript materials as well as archaeological data. Disciplinary focuses of the series include history, archaeology, art history, anthropology, literature, philosophy, and the history of sciences and technology. 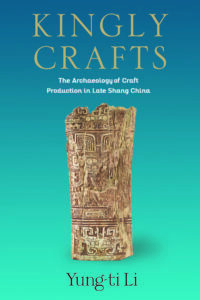 The time period covered by the series spans from the Neolithic to the end of the Han Dynasty (AD 220), or to the end of the Tang Dynasty (AD 907) for titles in archaeology. All submissions are subject to peer review and editorial evaluation. The series allows the generous inclusion of maps and illustrations, as well as archaic Chinese characters as necessary to explain the content of the text. Please see here for more information at Columbia University Press. Anthony Barbieri-Low University of California, Santa Barbara. Please see the proposal guidelines here. Do not summit the full manuscript until requested by the Tang Center. Successful candidates, please refer to the information listed here and the ‘Columbia University Press Guide for Authors’ for final version of the manuscript delivered to the press.